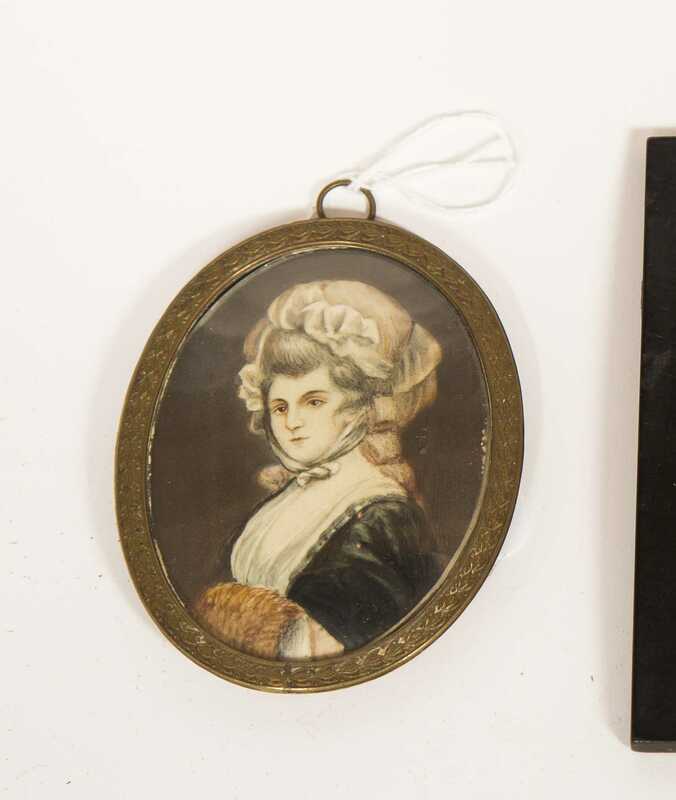 Three Miniature Paintings of Women, A) An oval on ivory of a woman wearing a fancy bonnet with muff, 4 5/8" tall overall, quality oval brass frame with convex glass. 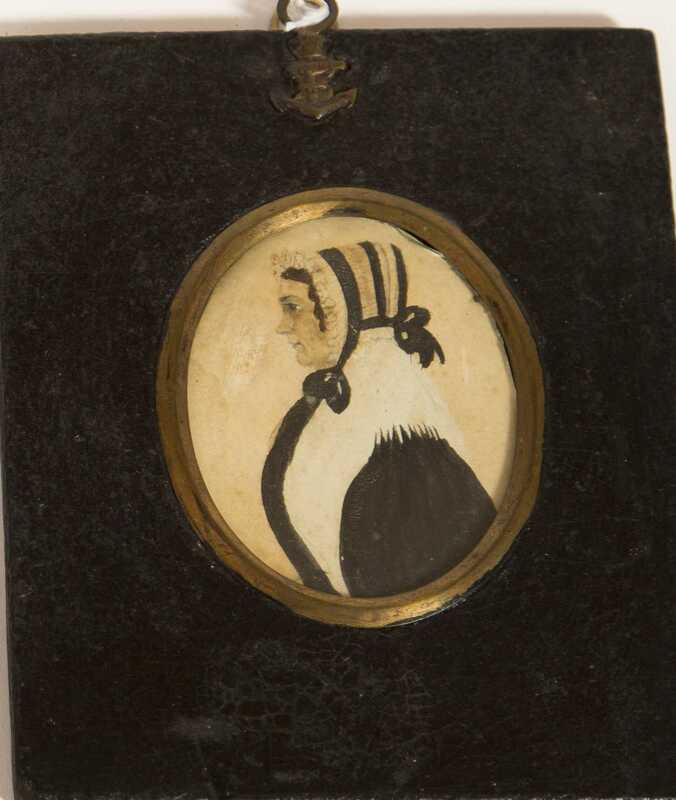 B) Primitive watercolor on paper, black striped bonnet, 2 3/4" tall in the oval, set in a rectangular black composition frame. 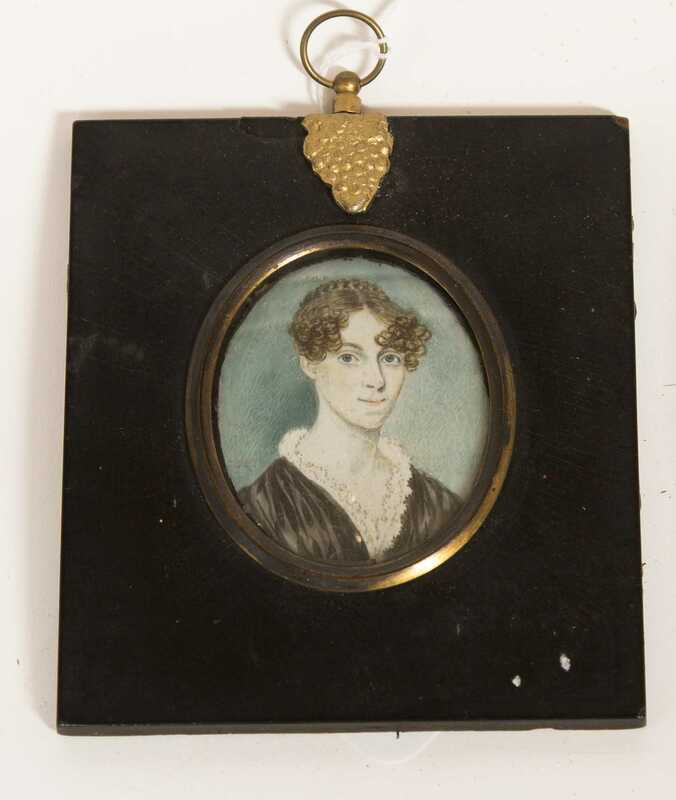 C) Watercolor on ivory of a young woman with curly hair, 2 3/8" tall in the oval mounted in a rectangular black composition frame.